To those of us who have been following the story of Thomas Karl’s pausebuster paper two years ago, this will come as no surprise. 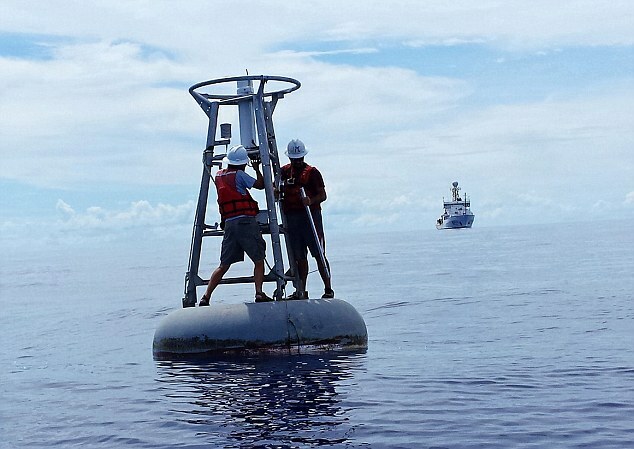 NOAA’s 2015 ‘Pausebuster’ paper was based on two new temperature sets of data – one containing measurements of temperatures at the planet’s surface on land, the other at the surface of the seas. Both datasets were flawed. This newspaper has learnt that NOAA has now decided that the sea dataset will have to be replaced and substantially revised just 18 months after it was issued, because it used unreliable methods which overstated the speed of warming. The revised data will show both lower temperatures and a slower rate in the recent warming trend. The land temperature dataset used by the study was afflicted by devastating bugs in its software that rendered its findings ‘unstable’. The paper relied on a preliminary, ‘alpha’ version of the data which was never approved or verified. A final, approved version has still not been issued. None of the data on which the paper was based was properly ‘archived’ – a mandatory requirement meant to ensure that raw data and the software used to process it is accessible to other scientists, so they can verify NOAA results. The paper was published in June 2015 by the journal Science. Entitled ‘Possible artifacts of data biases in the recent global surface warming hiatus’, the document said the widely reported ‘pause’ or ‘slowdown’ was a myth. Less than two years earlier, a blockbuster report from the UN Intergovernmental Panel on Climate Change (IPCC), which drew on the work of hundreds of scientists around the world, had found ‘a much smaller increasing trend over the past 15 years 1998-2012 than over the past 30 to 60 years’. Explaining the pause became a key issue for climate science. It was seized on by global warming sceptics, because the level of CO2 in the atmosphere had continued to rise. Some scientists argued that the existence of the pause meant the world’s climate is less sensitive to greenhouse gases than previously thought, so that future warming would be slower. One of them, Professor Judith Curry, then head of climate science at the Georgia Institute of Technology, said it suggested that computer models used to project future warming were ‘running too hot’. However, the Pausebuster paper said while the rate of global warming from 1950 to 1999 was 0.113C per decade, the rate from 2000 to 2014 was actually higher, at 0.116C per decade. The IPCC’s claim about the pause, it concluded, ‘was no longer valid’. The impact was huge and lasting. On publication day, the BBC said the pause in global warming was ‘an illusion caused by inaccurate data’. One American magazine described the paper as a ‘science bomb’ dropped on sceptics. The sea dataset used by Thomas Karl and his colleagues – known as Extended Reconstructed Sea Surface Temperatures version 4, or ERSSTv4, tripled the warming trend over the sea during the years 2000 to 2014 from just 0.036C per decade – as stated in version 3 – to 0.099C per decade. Individual measurements in some parts of the globe had increased by about 0.1C and this resulted in the dramatic increase of the overall global trend published by the Pausebuster paper. But Dr Bates said this increase in temperatures was achieved by dubious means. Its key error was an upwards ‘adjustment’ of readings from fixed and floating buoys, which are generally reliable, to bring them into line with readings from a much more doubtful source – water taken in by ships. This, Dr Bates explained, has long been known to be questionable: ships are themselves sources of heat, readings will vary from ship to ship, and the depth of water intake will vary according to how heavily a ship is laden – so affecting temperature readings. Now, some of those same authors have produced the pending, revised new version of the sea dataset – ERSSTv5. A draft of a document that explains the methods used to generate version 5, and which has been seen by this newspaper, indicates the new version will reverse the flaws in version 4, changing the buoy adjustments and including some satellite data and measurements from a special high-tech floating buoy network known as Argo. As a result, it is certain to show reductions in both absolute temperatures and recent global warming. 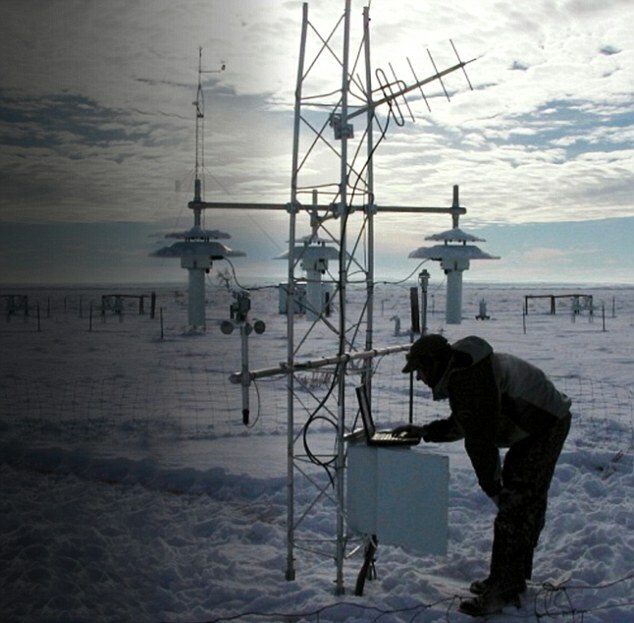 The second dataset used by the Pausebuster paper was a new version of NOAA’s land records, known as the Global Historical Climatology Network (GHCN), an analysis over time of temperature readings from about 4,000 weather stations spread across the globe. This new version found past temperatures had been cooler than previously thought, and recent ones higher – so that the warming trend looked steeper. For the period 2000 to 2014, the paper increased the rate of warming on land from 0.15C to 0.164C per decade. The flawed conclusions of the Pausebuster paper were widely discussed by delegates at the Paris climate change conference. Mr Karl had a longstanding relationship with President Obama’s chief science adviser, John Holdren, giving him a hotline to the White House. Mr Holdren was also a strong advocate of robust measures to curb emissions. Britain’s then Prime Minister David Cameron claimed at the conference that ‘97 per cent of scientists say climate change is urgent and man-made and must be addressed’ and called for ‘a binding legal mechanism’ to ensure the world got no more than 2C warmer than in pre-industrial times. President Obama stressed his Clean Power Plan at the conference, which mandates American power stations to make big emissions cuts. President Trump has since pledged he will scrap it, and to withdraw from the Paris Agreement. 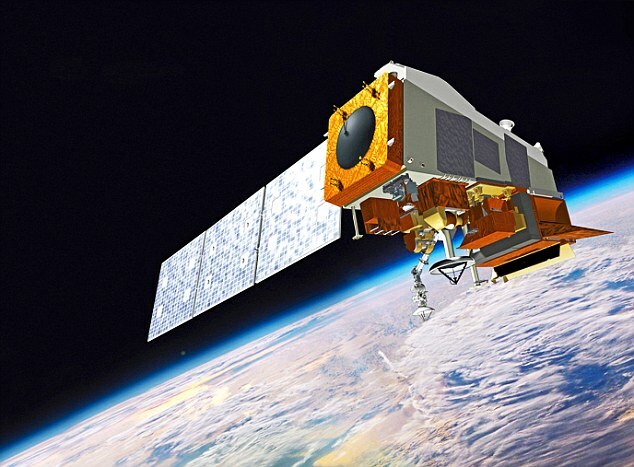 Whatever takes its place, said Dr Bates, ‘there needs to be a fundamental change to the way NOAA deals with data so that people can check and validate scientific results. I’m hoping that this will be a wake-up call to the climate science community – a signal that we have to put in place processes to make sure this kind of crap doesn’t happen again. It was time, she said, that politicians and policymakers took these uncertainties on board. As for the ERSSTv4 sea dataset, he claimed it was other records – such as the UK Met Office’s – which were wrong, because they understated global warming and were ‘biased too low’. Jeremy Berg, Science’s editor-in-chief, said: ‘Dr Bates raises some serious concerns. After the results of any appropriate investigations… we will consider our options.’ He said that ‘could include retracting that paper’.NOAA declined to comment. I confess to not being a Mail reader but have to congratulate them for providing this thorough review. I wonder what the Gruinad will make of it . . .! Thanks as always for posting, Paul. I’m guessing the BBC aren’t covering it either, don’t know as am 5 days into my new life as a non-TV watcher, because real news is now only available online, and in a few newspapers, even LBC has the ghastly Sky news. The BBC doesn’t cover anything it hasn’t read in the Guardian. Remember how they were the last to catch on to Cheriegate? Every one else was all over the story of Cherie Blair, 2 flats in Bristol and a con man, but not a peep on the BBC or in the Guardian until they just couldn’t ignore it. Depressing when you think about it. If it weren’t for “saving the planet” syndrome, Tom Karl (NOAA), Gavin Schmidt (NASA) and the handful of global temp gatekeepers who collude in the fraud, would be locked up for destroying the reputation of science and costing taxpayers trillions upon trillions for 18+ years of ZERO global warming. But again, the worst any of these climate fraudsters will *ever* be accused of is an excess of virtue. I am not entirely sure that they couldn’t be charged with Obtaining money under false pretences After all they’ve had 30 years of employment, not to mention bonuses from Green organisations (such as returned about 3 times his salary to J. Hansen) to keep their lifestyle going. However dismissal is probably the worst they have to face. Must be a mistake, or some fossil-fuel funded Denialist plot. Will the bbc report on this? Xor! you beat me to it Paul, I actually wandered over to NTZ and picked it up there……….as I said over on t’other thread – it’s not as if we didn’t already know this, fixing the statistical record – for “them” the alchemists of green – it’s nothing new is it? “How world leaders were duped “??? But the only people who “duped” the “elite” were the elite themselves. I wouldn’t want to think that Cameron, Merkel, Hollande, Pope Francis, Obama and all the rest were going to stand behind their stooges Karl & Peterson and blame them. Fact is that Karl, Peterson, Mann, Phil Jones and all the rest have always been the ‘elite’s sock puppets, assiduously producing “evidence” to support the fashionable climate policies. Couldn’t put it better myself Martin. In fact Obama commissioned and paid for the report. Still, casting the Pinoccios as puppetmasters gives an exit line to the soon to be incoming new leadership in the developed world to divest themselves of a growing historic liability with minimal embarrassment. Lacking the cojones of the Trump, they can surreptitiously follow his lead and even blame it on him when he trashes Paris 2015. Japan is leading the way. Watch for growing panic amongst the climatocracy as they as they begin to perceive their next role. The Pre-Raphaelites – definitely my favourite artists! & like that goat, find themselves standing in the snow they said our children would never see. 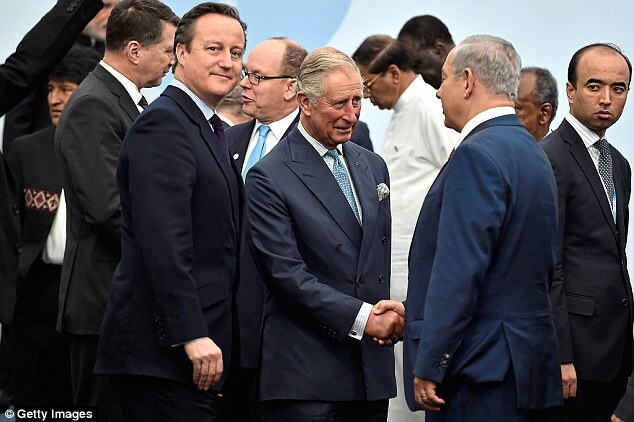 ‘World Leaders’, IMHO, were not duped by AGW, they set it up in the first place. To be duped is to be ignorant of the sting in the first place: they weren’t. They are in on the con and we are the mark. We are the ones being duped. 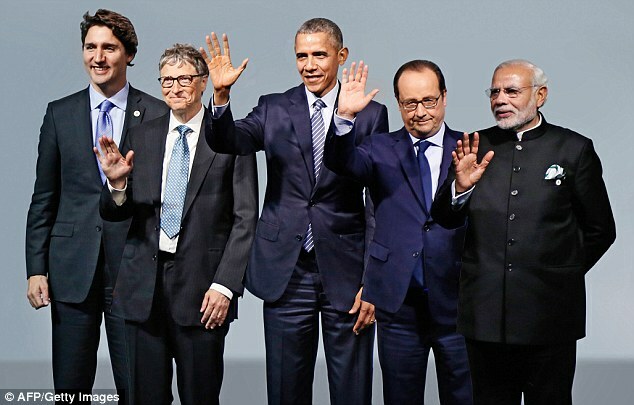 World leaders and their mates have made obscene fortunes from AGW. They just want to keep the gravy train going. In ii, you draw attention to Climategate emails to see the blatant attempts that were made to remove the inconvenient 1940’s blip by tampering with SST’s. land also shows the 1940s blip (as I’m sure you know). we’d still have to explain the land blip. but we are still left with “why the blip”. in the NH — just as one would expect with mainly NH aerosols. currently is not) — but not really enough. So … why was the SH so cold around 1910? Another SST problem? appreciate any comments you (and Ben) might have. In engineering you archive everything mainly for your own purposes, so that you can make more copies, and understand what you did 6 months later, when memories fade. Just imagine the embarrassment if someone asks how it was done and you can’t answer. Climate Science is beyond parody for its neglect of basic principles. It’s always amazed me how these Government organisations have got away without proper quality controls. Are they ever externally audited, or even internally audited? My company was regularly audited by the company’s own QA department and also by two external organisations. Everything had to be properly documented, checked and approved and all data and methods archived. No ifs no buts – no excuses. Not following procedures had very serious consequences. Over at WUWT, the usual alarmists such as Stokes and Mosher are, as ever, trying to deny reality. Phillip, Stokes (at WUWT) reckons that K15 data IS archived. I have asked him if it is possible therefore to reproduce Karl’s paper. No answer and, I’ll bet, none to come. Archiving of data is actually a relatively minor problem here, even if they know exactly what version of software was used, and have it stored in a database the real problem is the dodgy “algorithms”, the fact that they were looking for a particular answer, and the apparent lack of any validation of the output. The Hockey Stick was the ultimate in dodgy practices: If you can try various selections/rejections of data, various versions of some of the data, various truncations, various interpolations, various statistical methods, and then fail to archive or document anything properly, and can stop when you get an answer you want, getting it published simply because of reputation and the political correctness of the answer. This thread from Richard Betts’ Twitter a/c is interesting. This report is really important and the Mail on Sunday and David Rose in particular deserve praise for putting it out there. That’s precisely why it won’t appear on the BBC. The BBC prefers the fake data as it fits in with its fake news. Lamar Smith is back on the case. He will get the e-mails now from NOAA and just watch the fireworks. His sources of information can now come forward and John Bates may be one of those. Will be interesting to see how Science handles this paper now. Will they withdraw and all subsequent papers and records will be thrown into doubt? They have a problem in that apparently the information was not archived in accordance with their requirements and it seems as if all the background information may have disappeared as the computer crashed. It is claimed that Carl 2015 et al. cannot be replicated as a consequence thereof. Both good points. NOAA previously committed contempt of Congress by stonewalling Rep. Smith’s whistleblower based subpoena. And the paper needs retraction because NOAA did not follow Science’ written archive policies. There will be significant repercussions from this expose. How can a government agency stonewall when the government asks for (effectively) its own property? There shouldn’t be anything to discuss there; government asks, they get, pronto. Heads should’ve rolled for that. You are but a fool. Even though I told you so. So it was a “science be damned we must get the message out” that the head of NOAA was overseeing. I wonder what Thomas Karl contractual obligations are? I wonder what Thomas Karl contractual obligations are? Meaning, wouldn’t we like to see his bank statements. This is fraud on a gigantic scale – diversion of resources – waste of money – and probably the death of many who could have benefited from these resources to provide life’s basics!!! So these scientist and their puppet masters are probably guilty of genocide. When will common sense prevail? I already see the Scottish government “rowing back’ – preparing to approve shale frac’ing and reactivating a major coal fired power station – Longannet. We really are led by a ship of clowns!!! Keep up the good work Paul. I’ve read Bates’ account at Climate Etc, and the very interesting comments that followed. Nick Stokes comments are always to be respected. It’s going to be embarrassing for the Karl adherents, for sure, but it’s far from a killer blow. Look at it less as a conspiracy, rather more a ‘coalition of the willing’. Too much was learnt from Climategate for there to be much expectation that any ‘smoking gun’ emails exist. The non-archiving of data, regrettable though it is, seems to be something of a side issue. The take-away message, though, is pretty consistent with what we know already : the object of the exercise is clear even before the data is known. This is a consistent theme. There were a few hints that other whistleblowers are lined up. That should be interesting. The problem is that a number of mistakes were made and Climate Alchemists were almost certain that [CO2] increase would give warming. However, much of this would be offset by the 2nd Aerosol Indirect Effect. Furthermore, there would be positive feedback. Then, during the 1980s and 1990s there was warming, but it was from the reversed sign of the real 2nd AIE, not CO2. When the Earth started to react (by its PID control system), that warming rate fell to near zero. To keep the scam alive, in the early 1990s a decision was made to falsify temperatures. Anyone who attempted to blow the whistle was dumped. Too many political careers were at risk. Only now that senior Climate Alchemists are retiring is the truth coming out. Underlying is misinterpretation of Planck, Bose and Einstein whose radiative theory only applies to a vacuum: the atmosphere behaves differently: CO2 Climate Sensitivity of ~0.85 K is almost exactly offset by the low level water cycle. Te bad aerosol optical physics from Sagan and Pollack, and Hansen created imaginary positive feedback in hind-casting, also reducing negative feedback by low level clouds by a factor of ~4. An accumulation of smallish and biggish scientific lies is now irrefutable. People are learning not to trust Drama Queens and DramaGreens anymore. I do not have the link but I do very much, seem to recall in a paper by Ross McKitrick, him giving GCHN statistical analyes a thorough defenestration and with a fearful kicking some years ago and quite rightly at that. Duh……………………so it’s even worse than we originally thought!! the sea dataset will have to be replaced and substantially revised just 18 months after it was issued, because it used unreliable methods which overstated the speed of warming. The revised data will show both lower temperatures and a slower rate in the recent warming trend. “slower rate in the recent warming trend”…………..and earlier in the piece – “pause”? since 1995: NH average T’s are fekkin declining. AND And still they won’t admit to lying, barefaced lying at that. Plus…………………. and all of this is, optimum timing for the Trump hatchet to be wielded without any favour or quarter granted. CUT, cut deep, chop and sever those atmospheric climate dead limbs Donald! NOAA first and then cast an eye on Penn State U, climatology faculty – there’s plenty of dead wood there and don’t stop till they all drop. It was words to the effect that as Thomas Karl isn’t a ‘Dr’, the titles of all other contributors were removed. And so, for such an influential paper, ……. Let’s hope Karl ends up with Mann in the state pen. Phillip Bratby, you may be closer to the truth! Karl has done some dodgy paperwork whilst employed by the US Taxpayer. That may be sufficient for US Criminal Justice Departments to get interested. They have never been interested in libel involving Mann and Steyn, it remains a civil law matter. An interesting point is that Mann has 2 court cases running. What will having colleagues shown up as frauds do for his (remaining) credibility? The NOAA aren’t too concerned about the methods employed as long as they get the correct answer. Quite a lot of confirmation bias I fear. Odd that NONE of his co-writers had the code or data. That can ONLY mean that NONE of them checked Tom’s work. Oh well, their names are now attached to this piece of scientific crap. No harm in publicising the chicanery although, as a matter of fact, little here that has not been obvious for years. Oh dear does this mean Charles Lady Bird Book is officially based on fake facts & news !